With Crystal Ball RSL has seen considerable productivity gains. The business has also benefited from improvements in tax, time and attendance and other business-critical reporting. 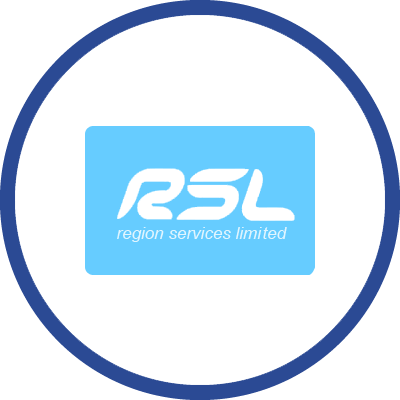 Established over 20 years ago, Region Services Ltd is a market leader in developing and supplying public information systems including interactive terminals, broadcast screens and ticketing machines. RSL employs maintenance engineers who work all around the country maintaining public information systems. The management needed visibility of engineers travelling in company vehicles and also of engineers outside the vehicle on route to service the units. This was necessary in order to increase productivity and replace existing inefficient procedures which required regular calls to the engineers for updates on their whereabouts. RSL also needed to address its own concerns about the welfare and safety of its staff. Engineers often work alone and regularly work at heights which place them at a potential risk. At the time, RSL had no solution in place to protect its engineers. Therefore, it needed a system that would allow engineers to raise an alarm if in a vulnerable situation. After considering various other solutions, RSL implemented Crystal Ball’s FleetTracker, MobileTrack Pro and MobileLWP in May 2012. RSL selected Crystal Ball because it is the only provider to offer combined solutions that operate on a single platform. RSL now have a complete workforce management tool that addresses the business’ challenges. The integration of FleetTracker and MobileTrack Pro provides RSL with real time visibility of the engineers’ locations both on foot and when travelling in vehicles, and the “nearest to postcode” functionality provides details of the distance an engineer is from a specific unit. The system also provides scheduled weekly timesheets which enables the company to track employees’ working hours and ensure it is not in breach of The Working Time Directive legislation. Additionally, FleetTracker enables RSL to create Geofences around its kiosks. This particular functionality allows management to highlight an area around each kiosk on a map, and then management are alerted when an engineer enters or exits this area. This information is stored on the Crystal Ball system and used for time and attendance reporting. Finally, MobileLWP was implemented as an application that sits on the handsets to continuously protect the engineers when working alone. When an employee initiates a new session a count-down timer is activated. When the timer expires the engineer is then prompted to check in. Failure to do so triggers a panic alarm which is sent directly to the management at RSL. In addition to the welfare functionality, engineers can also raise an immediate alert through the manual panic alarm functionality if necessary. RSL now has complete visibility of its engineers in real time which has increased productivity within the workforce. The management at RSL no longer have to rely on the tiresome procedures of regularly calling the engineers in order to understand which job they are at. Instead, they are now able to log on to the Crystal Ball system and instantly understand the location of each engineer. Implementing the system in this way has also increased the efficiency within the business because management are now able to schedule jobs based on the engineers’ current locations. The introduction of Crystal Ball’s solutions has also provided clients with a higher level of service as the company are now able to keep customers regularly updated and provide ETAs if necessary. RSL have benefitted from the alarms and alerts feature. The management are now notified if a driver is exceeding a certain speed or when a van has moved at a time when it shouldn’t have. The management at RSL have also noticed benefits from the Crystal Ball system when dealing with HMRC. Crystal Ball can now support RSL with its business and personal mileage claims as the company can pull off reports that state exactly what hours the vehicles have been in use. “I use Crystal Ball to deal with speeding fines and accidents. Having traceability of the speeds the engineers were driving and who was driving what vehicle is useful as I can use them to show the police if necessary."